As it turns out, Sophie Theallet isn't the first designer to refuse to dress Melania Trump. 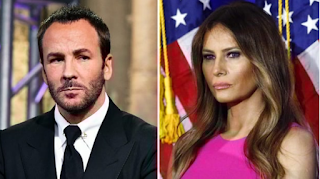 That distinction seems to go to Tom Ford, who just revealed that he once pointedly turned down the opportunity to dress the future first lady. "I was asked to dress her quite a few years ago and I declined," Ford, 55, said while visiting The View on Wednesday, November 30. "She's not necessarily my image." Even now that her husband, Donald Trump, has been elected into office, Ford, whose client list boasts Julianne Moore, Gwyneth Paltrow and Rihanna, confessed that his opinion hasn't changed. "The first lady — other than the fact that I'm a Democrat and voted for Hillary[Clinton] and [am] very sad and disappointed that she's not in office — even had Hillary won, she shouldn't be wearing my clothes," the designer and Nocturnal Animals director said. "They're too expensive. And I don't mean this in a bad way… [She needs] to relate to everybody." Furthermore, the View's cohosts pointed out that Michelle Obama has worn Tom Ford in the past. 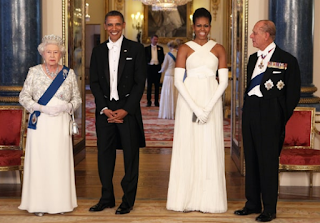 But the designer countered that it was all about the occasion: She was having dinner with the queen at Buckingham Palace. "I thought that was appropriate and I was honored," he said.